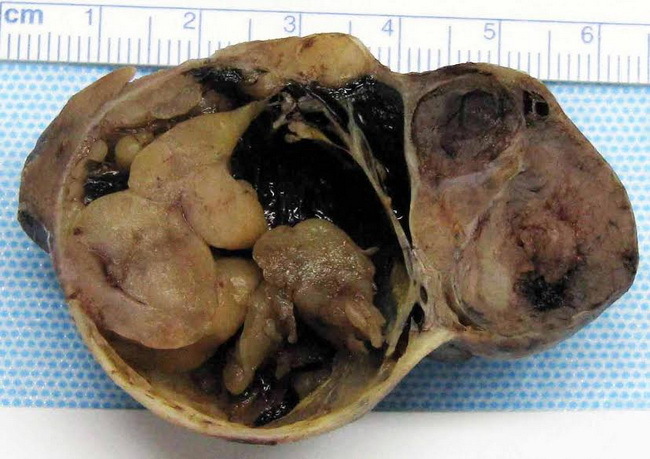 Metanephric adenomas are usually solid, well-circumscribed tumors sharply demarcated from the surrounding kidney. Ten to 15% of cases are partially cystic as shown here. Case courtesy of: Dr. Abdul Haleem, Dept. of Pathology, King Abdul Aziz Hospital, Al-Ahsa, Saudi Arabia.